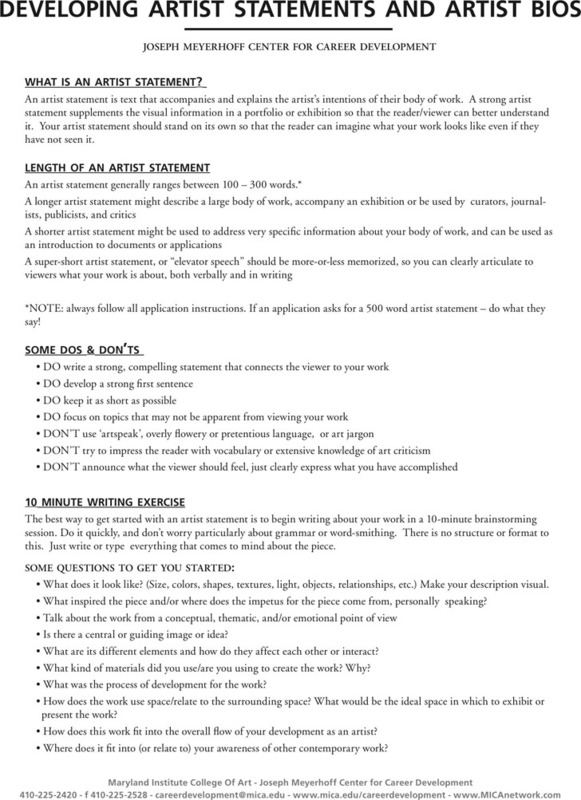 Artist Statement is a passage with around one to three hundred of words that an artist writes to explain and indicate something about his or her artwork. 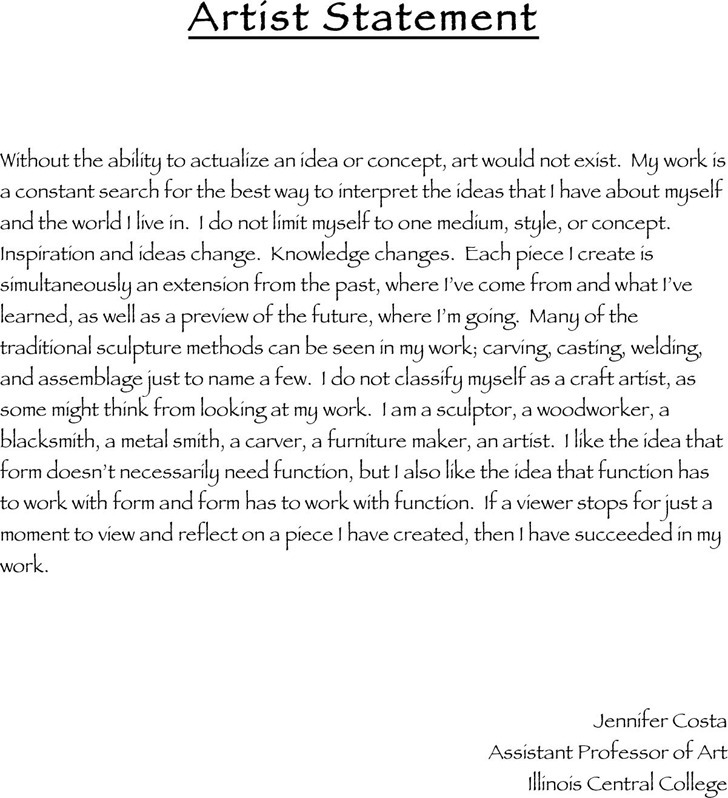 The intention of an artist statement is to explain the context and situation where the artist completes the work, thus making the readers or viewers better understand the work. 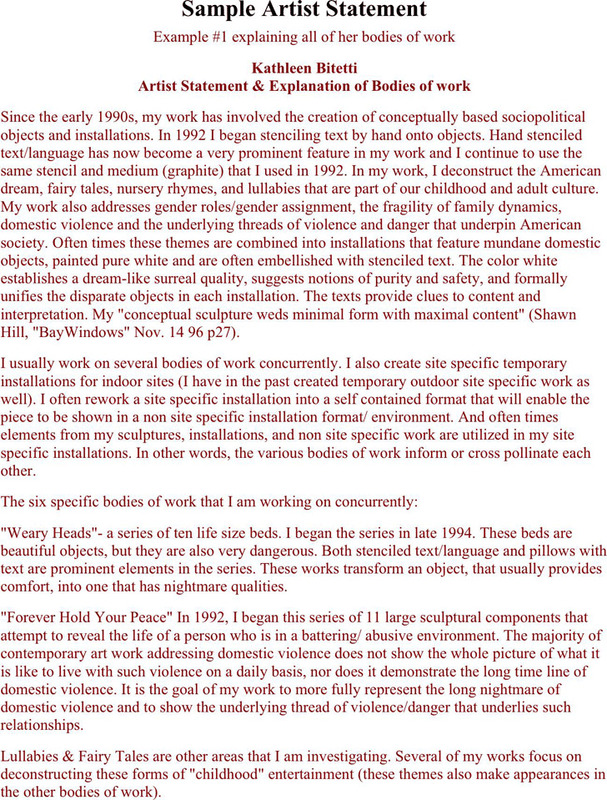 Besides, the artist statement may also be a must for some specific funding bodies, galleries or call-outs.